So this Easter weekend we decided to visit the Tower of London. Why not pick the busiest weekend of the year to visit this popular tourist attraction? Back in October, I visited the tower to see the breath-taking poppies but I didn't end up going inside the Tower. I've been eager to spend a good amount of time inside the Tower but I don't think we chose the best weekend to do it - there were so many people and big queues for the main attractions. I'd probably recommend going as early as you can in the morning to avoid the crowds and to not pick a bank holiday weekend or a weekend where the kids are off school! Tickets into the Tower aren't too cheap at around £25 for an adult but there are lots of different things to visit inside and definitely worth a visit if you're in the area. The Yeoman Warders hold tours twice an hour through the main aspects of the Tower and the grounds. These Yeoman Warders live inside the Tower (amazing!) and despite what you may think initally, they are not tour guides in fancy dress: they are ex-military who have served for at least 22 years before joining the Warders at the Tower. Our tour had a lot of people in it so it was difficult to hear at times, but our Yeoman, Clive gave us a history of the Tower and talked through some of the more famous prisoners that have been held there, from Elizabeth I to Anne Boleyn to Thomas Moore. We also learnt that the Tower wasn't just held as a Prison - it held a Menagerie full of exotic animals that were moved to Regent's park in the 1830s, founding London Zoo. 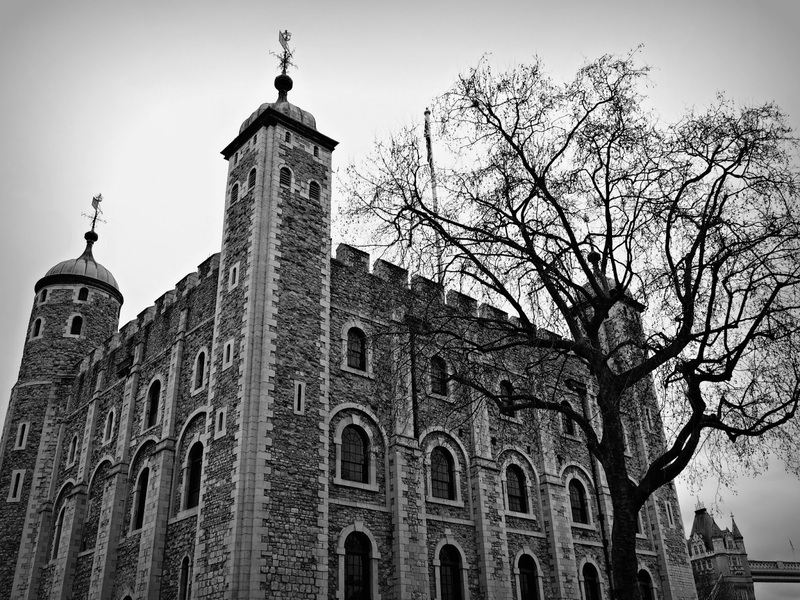 The Tower is also the home of the Crown Jewels, coins were minted in Mint Street in the Tower until the 19th Century and has been the residence of numerous Monarchs throughout the years. The queue was a good 20-30 minutes to get into the Waterloo Barracks to see the Crown Jewels, but it was definitely worth the queue to get to see the famous bling of the tower. Most of the jewels were objects from previous monarchs' coronations and the collection dates from the 17th century when it was almost entirely replaced following the destruction of the original jewels after the execution of Charles I. Security was pretty impressive as you walked into the vault through thick vault doors and as you walk around the exhibition you get a history of the monarchs of our country (we made friends with some Americans in the queue who were extremely curious about the Queen and the Royal family - something I think Brits take for granted as normality). Having queued for the Crown Jewels, we didn't fancy another big wait to get into the White Tower so we settled for the Bloody Tower which was in my opinion, more interesting. The tower got it's name after the disappearance of two Princes who were allegedly murdered by Richard III in the 15th century. Having declared the 12 year old Edward V and his 9 year old borhter illegitimate, Richard III was named King instead. If the story is true, it's a pretty sad one as the boys were never seen again but then in the 17th century, two skeletons were found under a staircase which were assumed to be the boys' remains and were re-buried at Westminster Cathedral. So if you're planning on a trip to the Tower of London, I'd definitely recommend going on a weekday if possible to avoid the crowds, or as early as possible at the weekend! I think you could probably spend a good 3 hours there if you want to see everything especially it's a nice day as a lot of your time will be spend outdoors. To find out more about the Tower of London see their website. Have you been to the Tower of London? What was your favourite part? And what did you think of the White Tower? Let me know in the comments below!